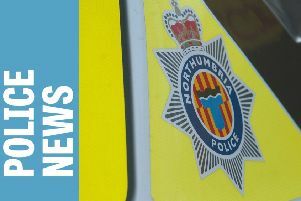 Police are appealing to the public for information after a serious collision in north Northumberland on Sunday night. At 7.43pm, police received a report of a one-vehicle collision involving a motorcyclist on the B6354 at Duddo, south west of Berwick. Emergency services attended and a 20-year-old rider was taken to hospital with serious and life-changing leg injuries. He remains in hospital in a stable condition. The road was closed for four hours as a result of the incident. Officers are now keen to hear from anybody who witnessed the collision, or who may have dashcam footage, to come forward. Anyone with information is asked to contact 101 quoting reference 1013 100219 or Crimestoppers anonymously on 0800 555 111.